Jonas Blue is an English DJ, producer, and songwriter whose music aims to blend the rhythms of dance music with melodic pop sensibilities. Known for his remixes of many well known pop songs, including Zedd’s “Stay” and Zayn Malik's “Pillowtalk”, Jonas Blue has become one of the most well known remixers in pop music during his short career. He’s recently been releasing his own original material, including songs like “Mama”, “Alien”, and “I See Love”. 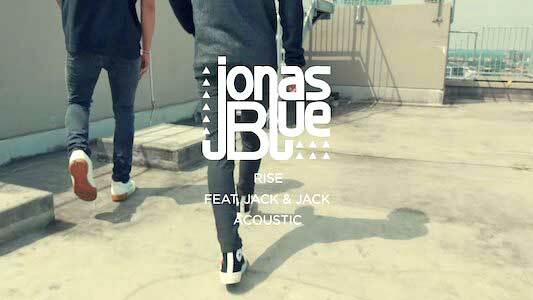 For the song “Rise”, Blue teamed up with pop-rap duo Jack & Jack to create an upbeat, summer dance anthem. This was then followed with the release of an acoustic version of the song, which brings a whole new sound and meaning to the track. Jack Johnson wears black high top Comme des Garçons chucks in this music video. The song is about the quintessential teenage feeling of not wanting to grow up. The lyrics talk about the angst of wishing you could stay young forever while still wanting to prove yourself to your family. This is paired with Jonas Blue’s upbeat, tropical style rhythms, and wonderful vocals from Jack & Jack. With this combination of music and lyrics, it’s easy to see why this track became a summer hit. However, the acoustic version offers a stripped back and intimate rendition that deserves it’s own praise. Gone are the bright and bouncy synthesizers and up beat piano chords, replaced with a gentle guitar and a Rhodes keyboard accompaniment. This actually aids the lyrics a great deal, since their uplifting and touching message might be lost to some listeners behind the dance music of the original version. Jonas Blue mans the keys while Jack & Jack provide vocals. 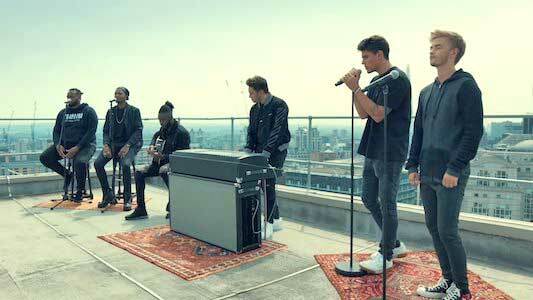 The music video takes place on the roof of a building, overlooking a city skyline. 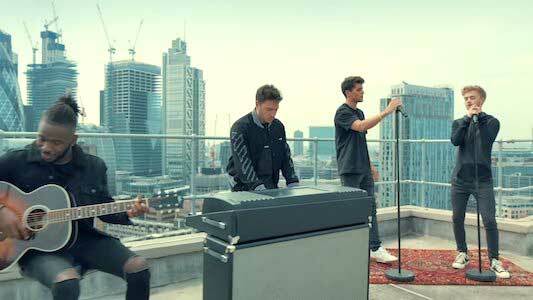 Jack & Jack start out the video by meeting Jonas Blue and other musicians on the roof. They then perform the song in what feels like an intimate setting amongst the background of a vast city. Jack Johnson (one of the Jacks in Jack & Jack) wears black Comme des Garçons chucks throughout the acoustic video, which is a much more simple and laid back look than in the original music video. This works very well with the song, and also goes for everyone else’s wardrobe as well. This low key and simple video again helps the listener/viewer pay attention to the lyrics of the song, rather than anything else that may be going on in the background. It’s because of that, that this video is a perfect visual pairing for this version of the song. In the vastness of the city, an intimate concert is held. Use the links below to get yourself a new pair of chucks for your next concert.